Since the globalisation of the new Awin platform our objective has been to provide as much transparency for publishers as possible. On the 1st of the month, payment will be received covering commission validated until the 15th of the previous month. For example: the credit note of November 1st contains the approved sales until 15th October. On the 15th of the month, payment will be received covering commission until the 30th or 31st of the previous month. For example: the credit note of November 1st contains the approved sales until 30th /31st October. Payments will be made on the next working day and can take 3-5 days to clear into a publisher’s bank account. Please be aware that the speed publishers will receive an advertiser’s payment will depend on the traffic light that the advertiser is set to. Credit notes can now be found in the ‘Reports’ section of the interface, within ‘Payment’. 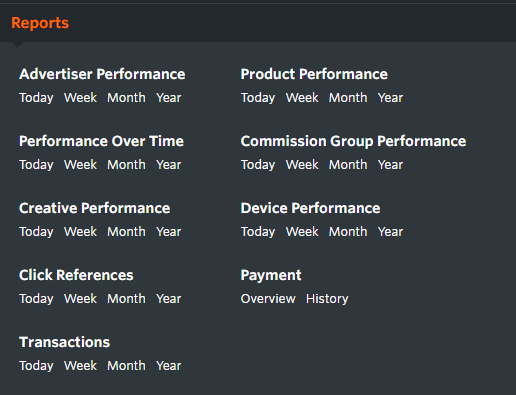 ‘Payment Overview’ offers a summary of a publisher’s payment status. Next payment – this is what the publisher will receive in the next payment run. Confirmed commissions – this is the commission within the publisher account that has been approved by the advertiser but is awaiting payment. All reports can also be downloaded from the interface in Excel or CSV format. Green – the advertiser is within their credit limit. The approved commissions are fully paid to publishers and advertisers on green status are referred to as offering accelerated payments. Amber – the advertiser falls outside of their payment and/or credit limit. Approved sales are only paid upon the receipt of payment by the advertiser. Red – this is exclusively used in cases of bankruptcy or excessive credit levels. To read about the Traffic Light Payment System in more detail, please visit our Wiki page. Payment status for each advertiser can be found in the advertiser directory within the user interface. From a publisher profile, select advertisers – you can then choose whether to filter by programmes already joined (my programmes), closed programmes, or programmes not yet joined (join programmes). Within these overviews, payment status for each advertiser is indicated by a green, amber or red dot in the payment status column. Hovering on each of these dots will offer further explanation as to what each colour indicates.